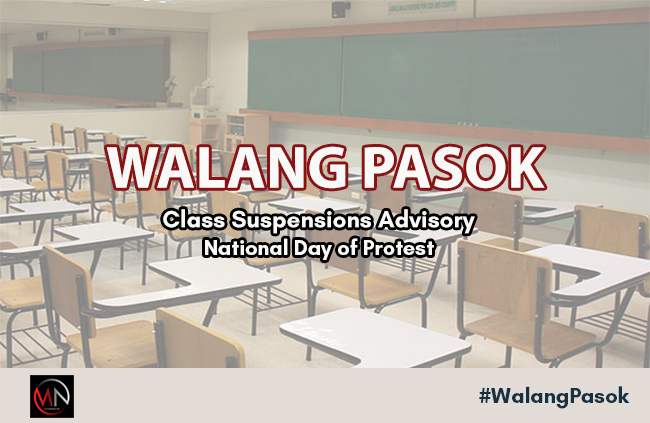 #WalangPasok : Class Suspensions Thursday, September 21, 2016 'National Day of Protest' - Exam News, Reviewer, Military Career, & Everything [MN] . . 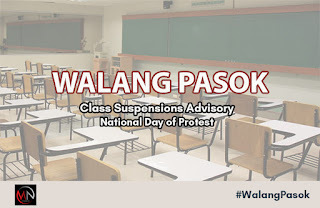 The Malacañan Palace have suspended government work and classes in public schools nationwide for Thursday, September 21. According to Presidential Spokesperson Ernesto Abella, it is up to private schools and companies whether they also want to cancel classes or work. Below is a list of private schools which have suspended classes for tomorrow.